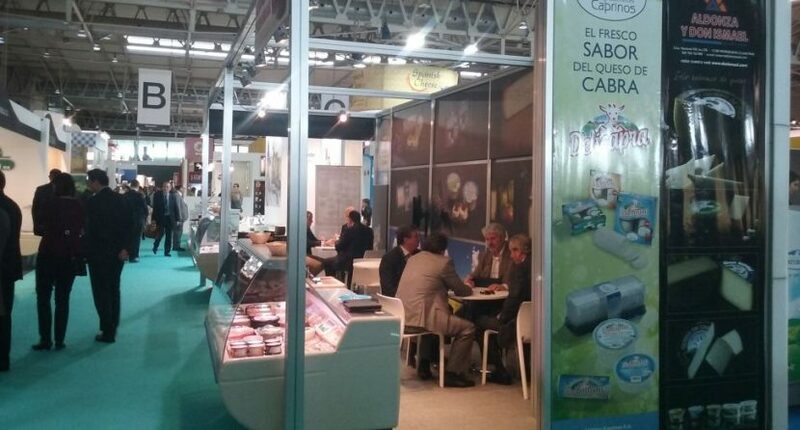 Lácteos Caprinos closed the month of April with the presentation of their products in Alimentaria 2016. This festival, cellebrated every other year, caught the attention of hundreds exhibitors and visitors from not only Spain, but all over the world. In that week, our products, as well as the cheeses from our collaborated entreprise Quesos Aldonza y Don Ismael, could be tasted in one of the main festivals in Spain. Our products, displayed in Interlact pavillon, caught the attention of everyone who wanted to know the new trends of the dairy sector.